Refusing disclosure of information regarding the meetings of the full court of the Supreme Court relating to setting up of its benches outside Delhi, a full bench of the Central Information Commission observed that disclosure of information regarding setting up of Supreme Court benches outside Delhi may "arouse regional feelings" and create "needless political controversy" resulting in law and order problem. The appellant, Mr. Rajiv Rufus, from Madurai, through an application under the Right to Information Act, 2005 sought information about the copies of minutes of the meeting of the full court of the Supreme Court, the file notings and letters sent by the Chief Justice of India to the Parliamentary Standing Committee relating to the setting up of benches of the Supreme Court outside Delhi. He was informed by the Additional Registrar and & CPIO that the resolutions of the full Court meetings of the Supreme Court are based on opinions expressed confidentially by the Judges in the course of discussions. The respondents stated that these are confidential and that divulging the same would make the system unworkable in practice. With respect to any publications effected by the Supreme Court relating to the establishing of benches of the Supreme Court outside Delhi, it was stated that there was no such publication by the Supreme Court. Regarding the furnishing of a copy of all the publications by the Supreme Court about the procedures followed in the decision making process relating to the establishing of benches of the Supreme Court outside Delhi, it was informed that the same is available on its website. 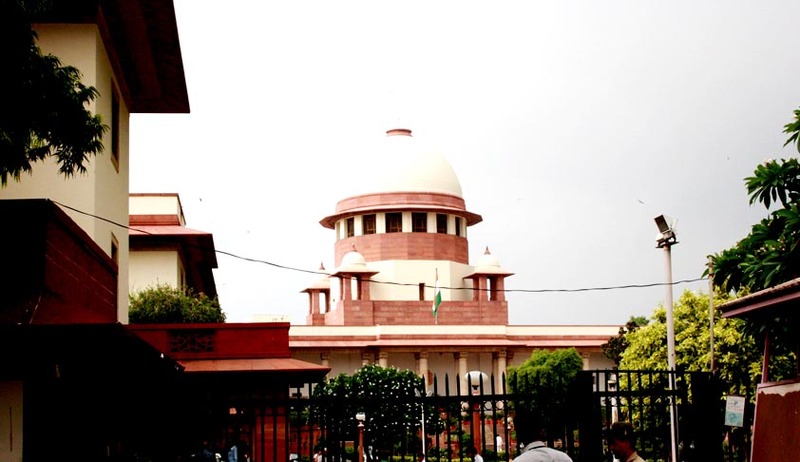 It was submitted by the respondents that complete full court resolutions and the relevant documents cannot be divulged under section 8(1) (a) of the Act as the issue relating to the setting up of benches of the Supreme Court outside Delhi is a sensitive issue and its disclosure would lead to politicization of the matter. It was stated that the disclosure will not be in the interest of the efficient functioning of the Supreme Court. The matter had been referred to the full Bench by a RTI Foundation of India bench of Chief Information Commissioner Sushma Singh by through an order delivered on 16th May this year. Read the May order here. Read the CIC order here.